Eye catching, exquisite, delicate and playful – paper jewellery can be all of it! For two days we dive into the versatility of paper, try out different methods and combinations and create unique treasures for special occasions! Cutting, folding, weaving, shaping, crocheting – various techniques and diverse types of paper lead to fascinating three dimensional structures. 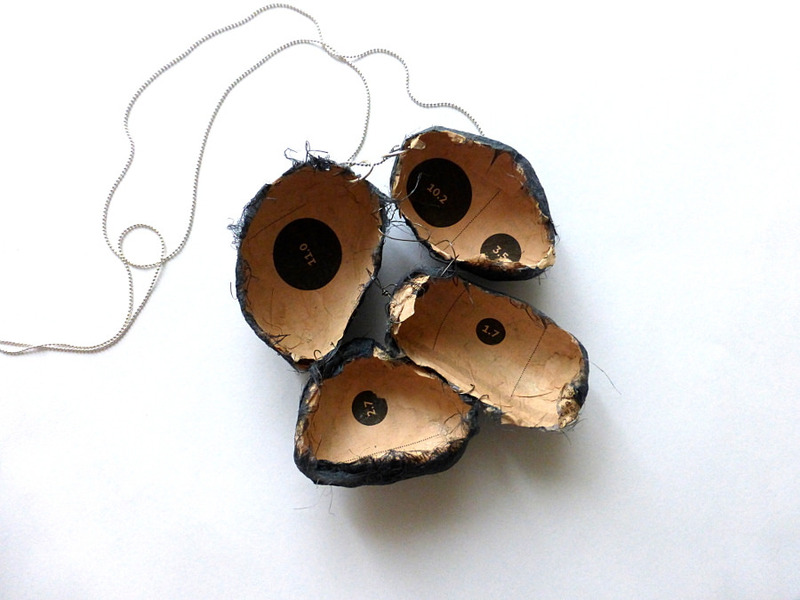 In combination with wire, found objects, yarn and other material completely new shapes emerge. In the beginning, we just let our creative juices flow, without working towards a precise goal; the possibilities of paper and our spontaneous ideas are the only guides. As our paper creations grow we find out how they want to be worn. With simple supplies we turn them into rings, brooches, necklaces… They can be opulent or minimalist, good for everyday use or a carnival accessory – everything is possible! Apart from exploring paper as jewelry these two days are also great for giving your creativity space and fresh impulses! On Saturday and Sunday the workshop starts at 9.30 a.m. and ends at 4.30. p.m. There will be a lunch and coffee break. • additional material of your choice: beads, buttons, crocheting wool, found objects, wire, felt…. • Supplies for DIY jewelry making e.g. earring hook, necklace chains and hooks, blank rings. You can also buy some supplies in the workshop. Location: MachWerk München, Schulstraße 1, at Rotkreuzplatz. Central and easy to reach by public transport. Being a place where creative workshops with different artists – and kids – take place on a daily basis, the space has a unique creative atmosphere. number of participants: minimum 4, maximum 8. Please email is@ines-seidel.de to register. I will send you payment details and further information. Registration is valid after payment has been made.